The summer kickoff parties are in full swing this weekend and here at ABCey Events, we can’t wait to attend some of these fun and exciting events in the Bay Area! As usual, there are plenty of events to choose from and this weekend we narrowed down some of our favorites including parties, fairs, and festivals! Featured Event: DISTRIKT Revel Station| Saturday, June 7th|1:00 pm-10pm|16th Train Station Oakland|Head over just across the bridge to Oakland and attend DISTRIKT Revel Station. This event is a non-profit electronic music party and the only fundraiser in the Bay Area prior to Burning Man. The party will feature 4 areas of sound by DJ’s DISTRIKT, Dusty Rhino, Friends and Family, and Opulent Temple. Food and beverages will be offered and a cool new lounge area will be built making this year the biggest year DISTRIKT Revel Station has had! This sounds so fun and we can’t wait to see pictures and hear how this event goes! This event is 21 and over with $20 presale / $30 door. 1. 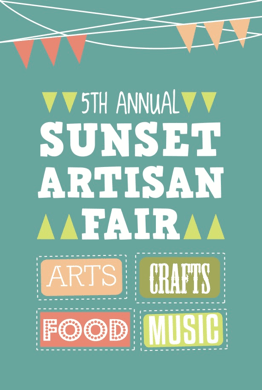 Sunset Artisan Fair |Saturday June 7th|11:00 am-4:00pm|3635 Lawton St. San Francisco|The Artisan Fair is an annual event featuring handmade DIY(do it yourself) crafts by local artisans. These include jewelry, art, sewn goods, accessories, and more. Also included at the event are gourmet street food and deserts with live music! Every year 100% of the proceeds go to a charity organization. Sounds like a great way to spend a Saturday! 2.Basic Training Hayes Valley Launch Party |Saturday June 7th|12:00 pm-4:00 pm|432 Octavia St. San Francisco|Do you love to workout outdoors? 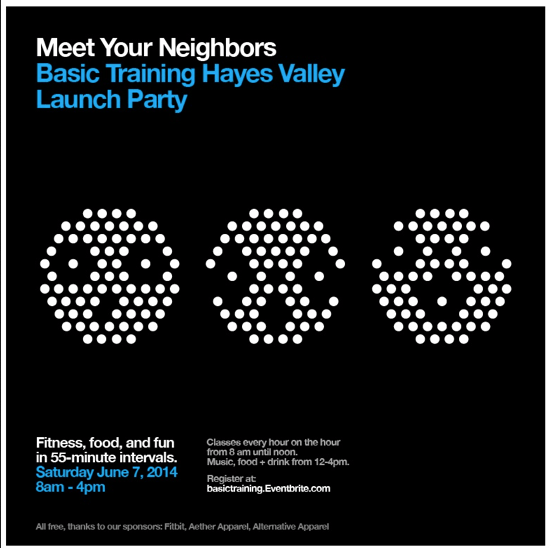 Come attend the launch of The Basic Training fitness hub, an innovative outdoor workout space for public use in Hayes Valley. The free, pop-up fitness pod will transform a previously unused parking lot to a colorful, bright, multi-use space. The day kicks off with free Basic Training workout classes from 8 am until 12 noon at the top of every hour. Starting at noon, the party begins with free food, free drinks, music, and giveaways until 4 pm. So get sweaty with Basic Training’s day of fitness and fun! 3. 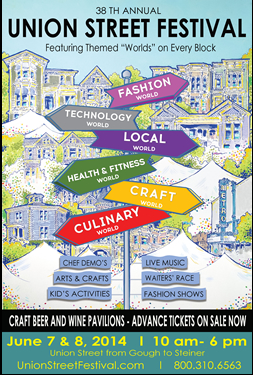 Union Street Festival|Saturday, June 7th-June 8th|10:00 am-6:00 pm|Union Street to Gough to Steiner Street., San Francisco|Looking for a place to try new food, craft beer, and wine all while enjoying local art and community groups? Come visit the Union Street Festival this weekend. For the 2014 festival, the six blocks of the event will feature a unique collection of fashion, food, technology, crafts, and health and fitness booths. Grab a couple of friends and experience this long-standing San Francisco event.Free to attend but bring money for food and drinks! 4. 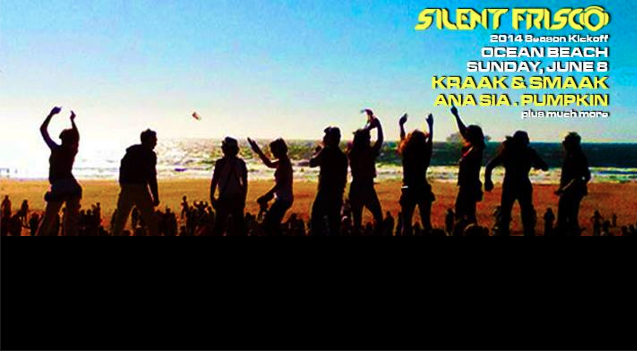 Silent Frisco| Sunday, June 8th| 11:00 am| Ocean Beach San Francisco|Love to dance and listen to music? This San Francisco based event uses cutting edge technology to enable artistic expressions with headphones! Silent Frisco will provide more than 3,000 two channel festival optimized headphones for attendees. These headphones operate on two simultaneous long-range feeds providing the best audio. This enables attendees to enjoy the music while neighbors enjoy peace and quiet. Silent Frisco always tries to find places where concerts normally wouldn’t be and their mission is to get people under the stars, out in fields, or at this year’s venue, Ocean Beach! Silent Frisco is featuring 2 channels: Boys Vs. Girls. The two hour set will include: Kraak & Smaak• Ana Sia• Pumpkin• J*Labs• Motion Potion• LAURA Lisbona• DEEJAY THEORY• HOLLY RICH• DING DONG • KIMBA• Matt Haze. We can’t wait to see this event come to life! 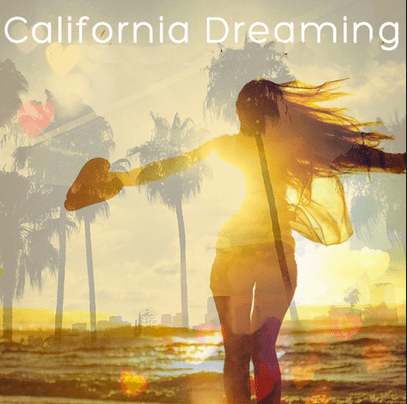 5.California Dreaming- Poolside Party+ Fashion Show +Trunk Show |Sunday June 8th|12:00 pm-7:00 pm|The Hotel Phoenix 601 Eddy St. San Francisco|Come check out the best of the best in local San Francisco DJ’s and Designers while enjoying some poolside fun in the sun! The second annual party will feature eleven DJ’s and seventeen, with more to be announced, designers. This is a great chance to bring along some friends and support local talent! We love a good pool party and this one sounds like a ton of fun! This weekend is guaranteed to be a great time with all these fun events. The girls at ABCey want to hear what you will be up to! Let us know in the comments below or on Facebook and Twitter.